As a virtuoso and a free-spirited guitar player and songwriter, Dney Bitencourt grew up in one of São Paulo's south-region suburbs, where he's immersed himself in a widerange of musical genres. He was profoundly influenced and encouraged by his father, who used to sing and play church hymns, 'música caipira' (traditional Brazilian rural songs) and the one who taught him two of basic chords (E, B7). Having been raised in a church environment, Dney had the opportunity to develop his musicianship by listening to church choirs hymns. His father taught him his first chords and his mother gave him his first guitar. His willpower, expertise and love for music are the reasons why Dney Bitencourt is a distinguished musician. He has always been able to enjoy music and tryout different musical languages. 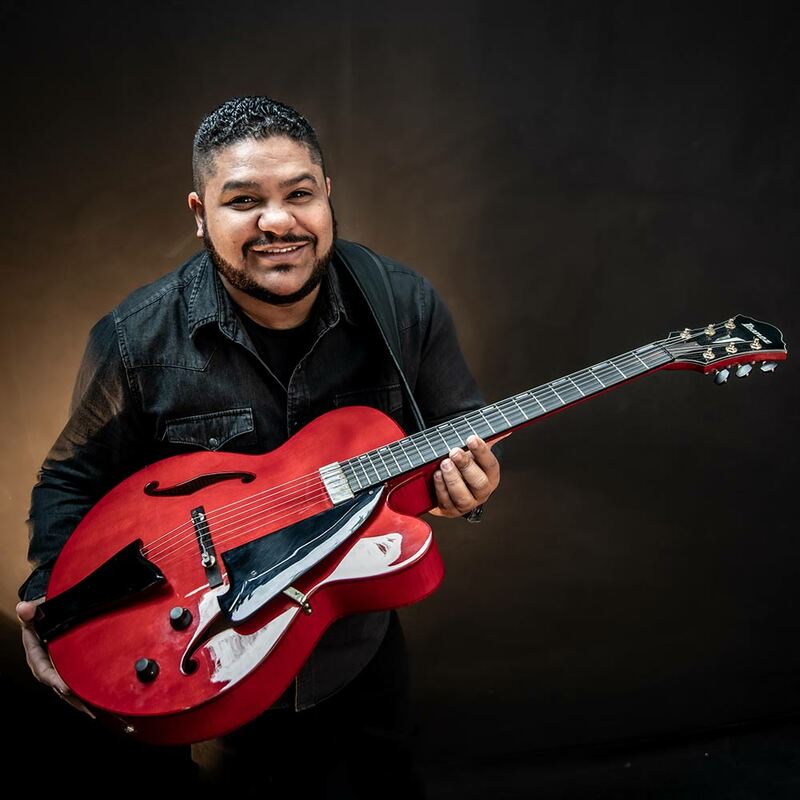 As a working-class Brazilian citizen, life was never a bed of roses for him, so several issues have stalled his improvement and career as a professional musician, but he chinned up and fought these adversities with humility and perseverance. Nowadays, he's one of best guitar prodigies in Brazil. Composer, acoustic/electric guitar player Dney Bitencourt simply stands out. He was granted with the opportunity to work beside numerous celebrated musicians, nationally and internationally speaking, including Bocato, Chico Oliveira, Jim Stinnet, Danny Morris, Babi Mendes, Mike Tucker, Dom Moio, Michael Manring, Eddie Gomez, Alejandro Demogli, Thomas Arey, Todd Johnson, Thiago EspÍrito Santo, Arismar Espirito Santo, Filó Machado, Vinicius Dorin, Richard Bonna, Celso Pixinga. He's an official sponsor for the brands Ibanez, Laney and Waldman. Nowadays, Dney carries on spreading his music, committing himself to a learning routine, in order to mature as a human being, a father, a husband, a son and musician.